SPR Imperial Estate Flats in Faridabad is the latest development of SPR Buildtech Private Limited which offers a comfortable and luxurious lifestyle. 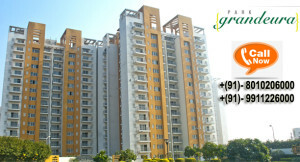 The residential project is situated at the center of the Greater Faridabad offering all round connectivity. There are many families who already got shifted in residential property SPR Imperial Estate due to the world class luxuries facilities and comfortable stay. Other than this SPR Imperial Estate Flats in Faridabad is a great opportunity for a perfect investment to get higher return in near future. It includes 3 BHK and 3+1 BHK apartments with area of 2040 Sq Ft, 2137 Sq Ft and 4110 Sq Ft, so you have the option of selection from a wide range of apartments as per you budget and requirement. Experience the grandeur of modern life style including all kind of modern and basic amenities with BPTP Grandeura Flats from BPTP Group through Anupam Properties, the pioneer company in real estate dealership. The BPTP Grandeura Faridabad is located at Sector-82, Faridabad. So you can enjoy all the facilities of a capital city as Faridabad is in the National Capital Region. Over 600 families are enjoying luxurious life at BPTP Grandeura Flats. It offers wide range of options to select from as per your need like from 2BHK flats to 4+1 BHK Flats and even it offers Penthouse. So you can choose the flat as per your need and budget with size available from 1342 Sq Ft to 2795 Sq Ft.
Schools like DPS & Sri Ram Millennium are located at close proximity. Nehru Place is just at 22 Kms away.